We have our first body. Beth keeps wheedling, and Jim gives her another flat ‘no!’ But we know that when it comes to Rockford taking on hard luck cases, no eventually means yes. As Jim emerges from his rusty trailer into the brilliant California sunshine, it’s easy to be reminded that the beautiful beach scenes from “Grease” were filmed nearby. 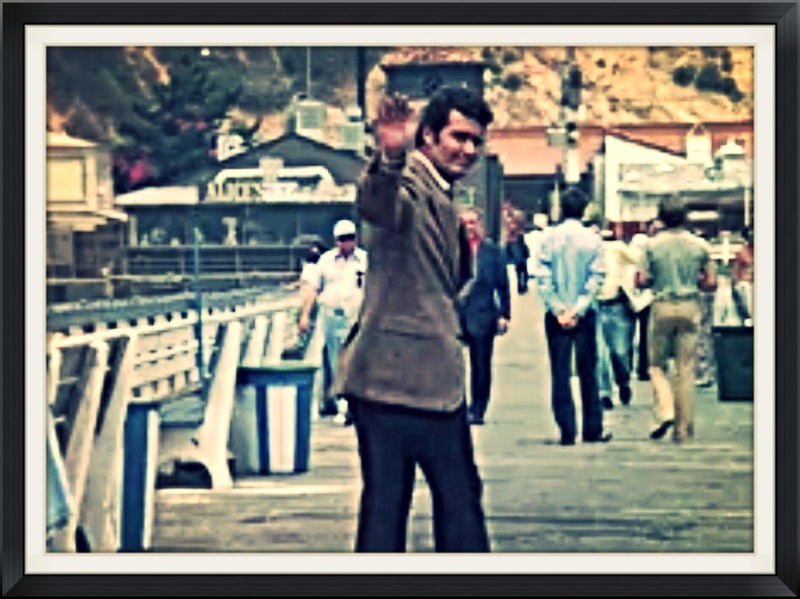 It’s the same million dollar Malibu coastline, but a close-up of Rockford in the morning, with his hastily buttoned clothes, fishing pole and bucket, and slightly hung-over appearance presents a much different picture than Travolta and Newton John silhouetted together at golden hour. 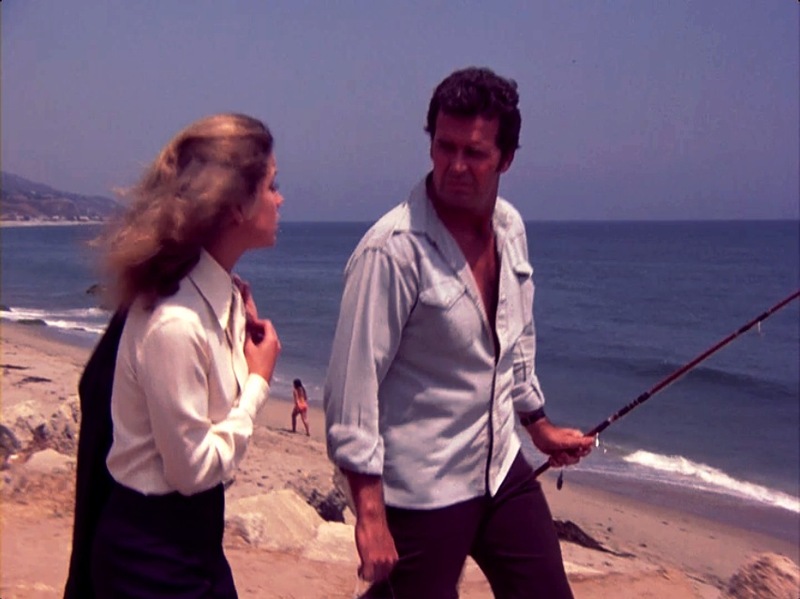 It’s nice to see that Jim Rockford is still being introduced as a beach bum in the show’s early episodes. It’s also worth noting that Jimbo’s trailer is still parked in the Tonga Lei-adjacent lot on the PCH in Malibu, rather than Paradise Cove. Beth Davenport was always a bit of a puzzle. Over the course of the show it was never established what exactly she and Jim did together, or how many times. Today’s discerning television viewer might suspect she was using Jim as a beard. Beth Davenport’s “Rockford Files” debut. Pleasantries out of the way, Dennis goes on to inform Jim that the case is open and shut. There are witnesses, a motive, and opportunity. The pilot episode took us to Nevada, and “The Dark and Bloody Ground” has Jim working rural Arizona in a rental car (street scenes seem to indicate Palmdale, CA is standing in for the town of Parker, AZ in this episode). 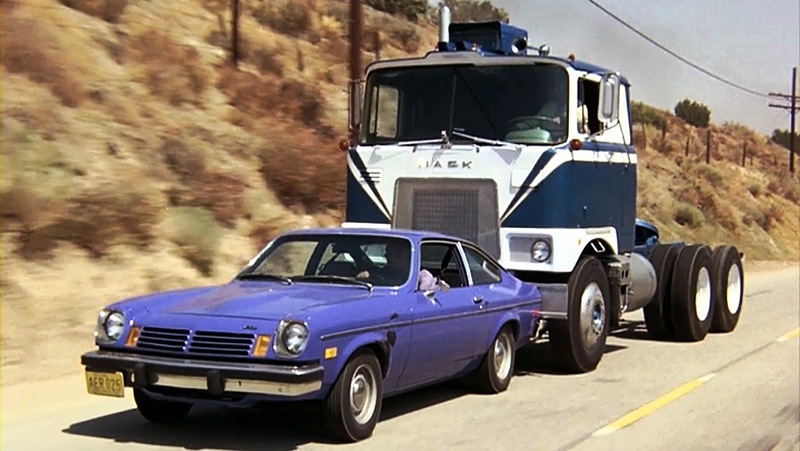 Almost immediately, Jim finds himself involved in an epic road battle, with a chase scene like something out of “Duel” or “Gone in 60 Seconds.” It’s Jim vs. an Arizona truck nerd for nearly six minutes of uninterrupted highway pursuit without a word of dialogue or note of background music, just the engine-roar of vehicular cat and mouse. Unless I’m mistaken, these are some of the same roads where “Duel” was filmed, or at least not far from it. In 1974, a crisp dollar bill still did some talking. 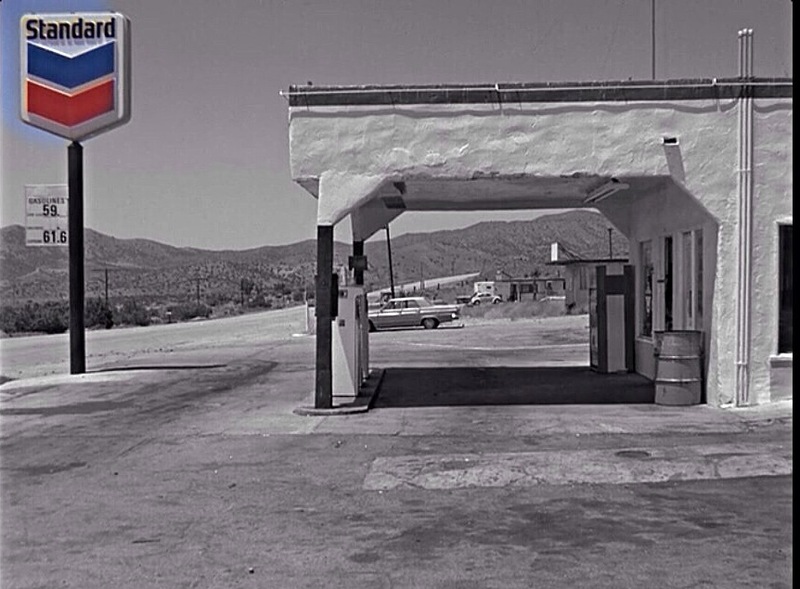 The gas station with the pay phone (note the 1974 gas prices on the far left). Jim flies back to L.A and gets to his trailer late that night, where Rocky, mistaking Jimbo for a prowler, pulls a gun on him from the shadows. The following morning Beth is cross-examining Jim over his expense report. “Toothpaste?” She throws him a sideways glance, but Jim’s in no mood. He turns the tables on Beth, accosting her for being so uptight over something as small as a tube of toothpaste. The expense report haggling gets abruptly cut-off as the camera reveals a suspicious puddle of liquid on the street that turns out to be brake fluid. This episode marks the first of many times Jim’s brakes get tampered with over the course of the Rockford Files, reminding me that as a kid in the 70s, I figured if I died of unnatural causes it would either be from getting taken out by killer bees, walking into quicksand, or because someone decided to tamper with my brakes. Seems like a lot of brakes got tampered with in Seventies crime shows. Blame Watergate paranoia. Beth cross examines Jim over the expense report. At the episode’s end, Jim takes Beth out for tacos on the pier. Unlike the burger and hot dog meals in the previous shows, there is no coffee ordered with the food this time. Apparently that’s a drink Jim reserves for nighttime. Believe me, I’m watching closely. At the taco counter, Beth gives the expense report another once-over, and Jim learns the hard way that a 5’1″ attorney in a pants suit can be the toughest customer of all. Jim hits the bricks before Beth can “hire” him again. And what about the story itself? If 1940s L.A. Hardboiled detective fiction doesn’t feature a femme fatale in the story, then it’s got to have a writer that gets wronged by the Hollywood machine (“Barton Fink” for example). 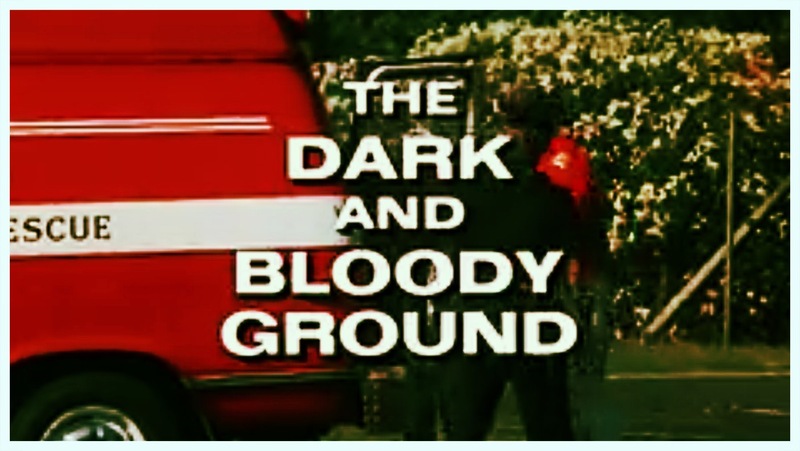 There is no femme fatale in “The Dark and Bloody Ground,” (Beth is more of an anti-femme fatale) but right around the 30:00 mark, a writer is introduced into the plot and “The Dark and Bloody Ground” is revealed to be the title of an immensely successful film based on a book of the same name. This is no idle disclosure: The motive for that murder back in scene one turns out to involve the copyright laws and a loophole therein. This screenplay has F. Scott Fitzgerald and Upton Sinclair written all over it, as if scripted in the era when those two figures still loomed large over the literary scene. Something about the richness of this episode’s dialogue and the literary darkness of its plot made me want to find out more about who actually penned it. John Thomas James is the name given in the opening credits as the story writer for “The Dark and Bloody Ground.” An Internet search reveals that John Thomas James is the pseudonym used by Roy Huggins for television writing work (John Thomas James is an amalgamation of the names of Huggins’ three sons from his second marriage). And who is Roy Huggins? Usually when the Rockford Files’ opening credits flash by on the small screen, Meta Rosenberg and Juanita Bartlett are the names I notice, not Roy Huggins. Nonetheless, his name is always there in the opening credits of every episode, and with very good reason. Without Roy Huggins there would be no Rockford Files. Period. Roy Huggins created the show. Huggins had been the creator of Maverick, and it was his longstanding desire to reprise the character of James Garner’s “Maverick” in a modern-day detective setting. Huggins teamed up with Stephen Cannell, who was 27 years his junior and had a background as a contemporary cop show writer, to co-create the Rockford Files, bringing James Garner back as a leading man in television after a 15 year absence. Huggins wrote a string of three novels in the 1940s, one of which was optioned by Columbia Pictures to be made into a film. Huggins subsequently began working for the studios, switching to television in 1955. This straightforward clause came about after several instances in which Warner Bros. circumvented Huggins’ creative rights while he was in their employ. Most notoriously (as per Wiki), studio head Jack Warner had the pilot to “77 Sunset Strip” screened briefly at movie theatres in the Caribbean to legally establish that the TV program derived from a film rather than the books and novellas Huggins had written in the 1940s. Jim Rockford in bed reading the fictitious work of fiction for which this episode is named. 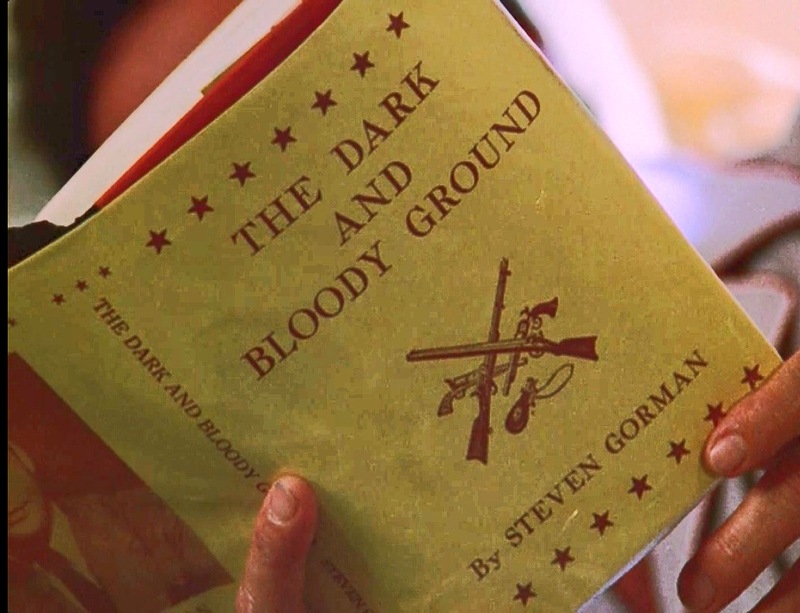 Consider that the plot of “The Dark and Bloody Ground” involves killing off a writer in order to exploit a loophole in the copyright law and keep his royalty money, and it seems like perhaps Roy Huggins is writing from experience. Consider also that the script of “The Dark and Bloody Ground” delineates the bad guys as nouveau riche social climbers, while the aggrieved parties are the plainest of the plain. According to Wiki, Huggins had been a member of the American Communist Party until the Nazi-Soviet Non-Aggression Pact of 1939, and he later had to testify before the House Un-American Activities Committee about his past associations. Putting ideological dogma aside for now, it’s probably safe to guess that in his younger days Huggins possessed acute class consciousness, and was not very sympathetic to the people dedicated to accumulating wealth in unsporting, if legal, ways. While Beth is established early on as possessing an unassailably good character, we are nonetheless made aware on more than one occasion by Jim Rockford that she comes from money and he does not. It’s almost as if the creator of the Rockford Files was imbuing his main character with a little bit of his own sociopolitical identity. It turns out that all but the last three of the first season’s episodes were adapted from stories written by Roy Huggins, whereas none of the episodes from any future seasons are. So, if there’s a particular feel to the first season’s episodes, this might explain it. It’s been said that Roy Huggins was fond of reworking his 1940s novels into modern television scripts, and based on the credits, it would appear that all of Huggins’ stories used for the Rockford Files had co-writers who adapted them into teleplays, leading this blogger to speculate that perhaps it’s not my imagination after all–maybe these first season Rockford episodes are actual vintage 1940s L.A. detective stories dusted off and repurposed into 1970s scenarios.